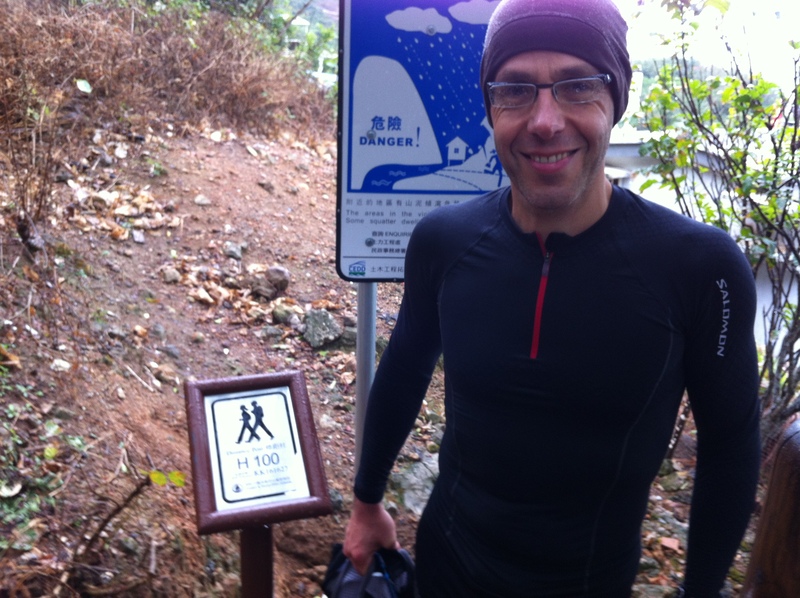 IT Manager Andre Blumberg recently completed all four ultra-distance Hong Kong trails in four consecutive days. Andre was the first person to achieve this 298k HK 4in4 Challenge feat and Ultra168 caught up with him to find out more. What is the trail and ultra scene like in Hong Kong? Most people know Hong Kong as a vibrant city with many skyscrapers and crowded shopping malls. 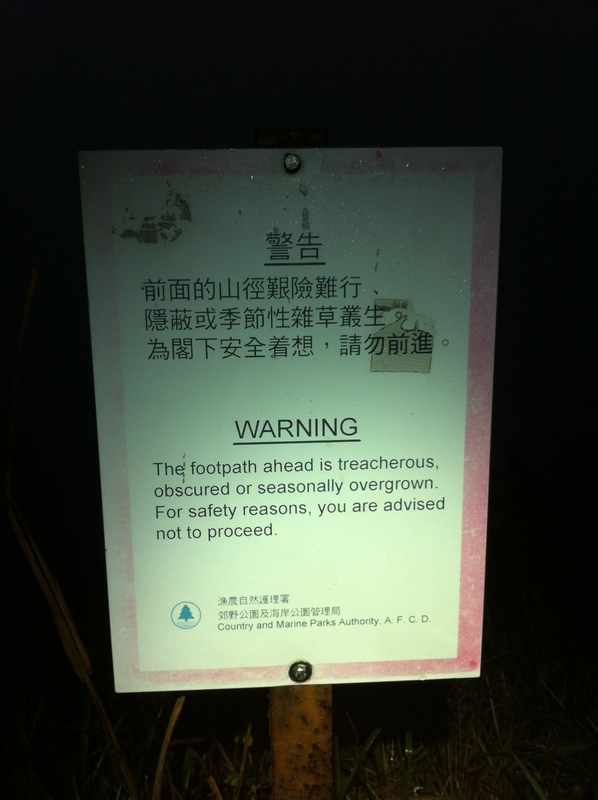 What many don’t know is that Hong Kong is an outstanding playground for ultra trail running as well. 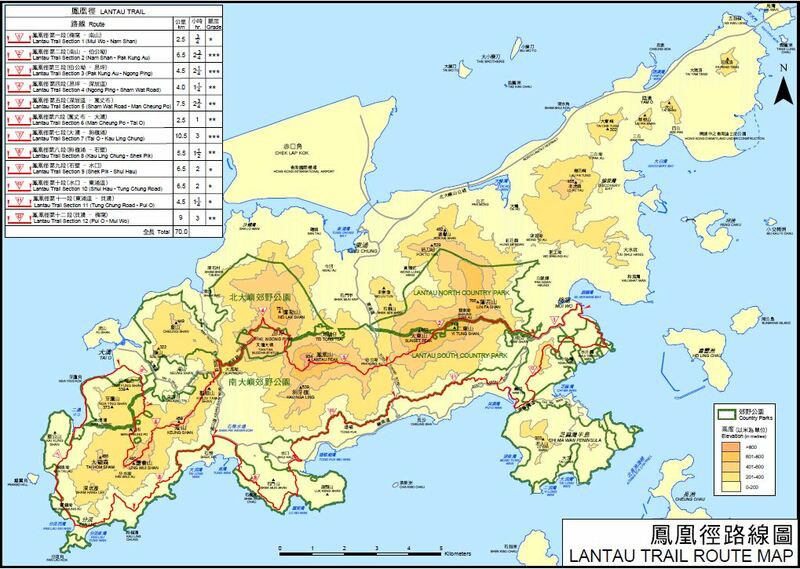 It has numerous country parks that are easily accessible and no less than four long-distance trails, namely Hong Kong trail (50k, 2.0k D+ positive elevation change), Lantau trail (70k, 3.3k D+), Wilson trail (78k, 4.6k D+) and last but not least MacLehose trail (100k, 4.5k D+) which is famous for the annual Oxfam Trailwalker team event being held there. Whilst in many countries one has to drive long distances to reach nice trails, Hong Kong is a comparatively small place blessed with proximity. It is pretty easy to reach a trail by public transport or taxi within as little as 20 minutes, no matter where you are. 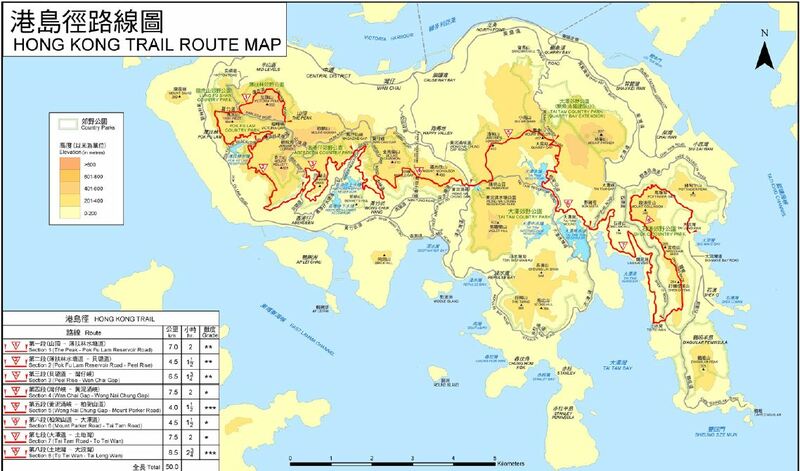 Hong Kong is quite hilly with many hills above 700m, the tallest being Tai Mo Shan on the MacLehose trail with 957m. Like anywhere else in the world, trail and ultra running is rapidly gaining popularity in Hong Kong. The mostly frequented local trail races however are 20 – 40k medium distance events. There are a few longer races but traditionally they are events for teams of two or more participants. 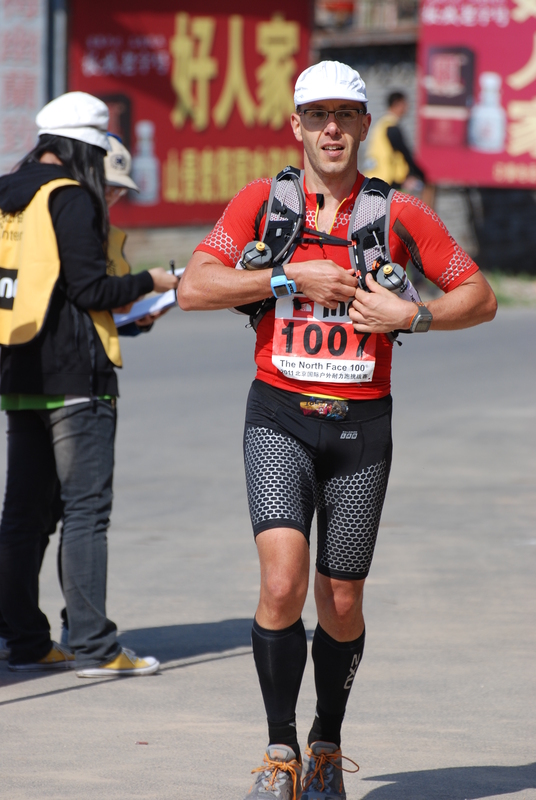 Last year the Vibram HK100 race entered the scene which at 100k distance is currently the longest solo event. The HK100 will take place for the second time on 18 Feb 2012 and participant rates skyrocketed more than four-fold in just one year and we will see some international talent joining such as Ryan Sandes, Grant Guise, Jen Segger and the top Nepalese mountain runners Sudip Kulung, Bed Sunuwar and Aite Tamang. What is the background of the HK 4in4 Challenge? The event was also to be fully self-supported, i.e. each participant carries with them all they need for the day (food, clothes, headlamp, essential safety kit etc.). No crewing, no pacing, no muling, no stashing permitted. The spirit is that since there are no rankings, relying on outside support only means cheating yourself. Unfortunately it was too short notice for most to join, and quite seriously many that heard about it probably thought “yeah, interesting idea but crazy idea and anyway it can’t be done”. In fact, to my knowledge it had never been attempted before let alone completed. The naysayers of course gave me extra motivation and in my mind it was definitely a go, no matter what. What did each of the four stages look like? Given there was no precedence for the event, I designed the stages in what I thought to be the easiest sequence, if there is such a thing. Day 1 started out on Lantau island, reason being that it is the most difficult to get to (unless you live on Lantau itself), so the idea was to take the 3am ferry (which was full of drunken revelers by the way after a good night out on the town) on the Saturday with a 4am start. The idea was for the first day to start early and finish early and to get a bit of downtime and recovery in during the rest of the day. This was also the only day where I had company during the full stage: Keith “Cowboy” Mearns, originally from Sydney but currently living in Hong Kong, tagged along. Some of you may know Keith as being a member of the Quality Meats team that holds the current Sydney Oxfam Trailwalker record, but he was in for a bit of a surprise when it came to the hills of Hong Kong, but he held up very well. We finished the 70k stage with 3,300m positive elevation in 10:54hrs. I never had a specific time target by the way, the idea was to take each day one at a time and the primary objective was to simply finish the series, and do so without any major damage or injury. The 78k Wilson trail then was on the agenda for the second day. 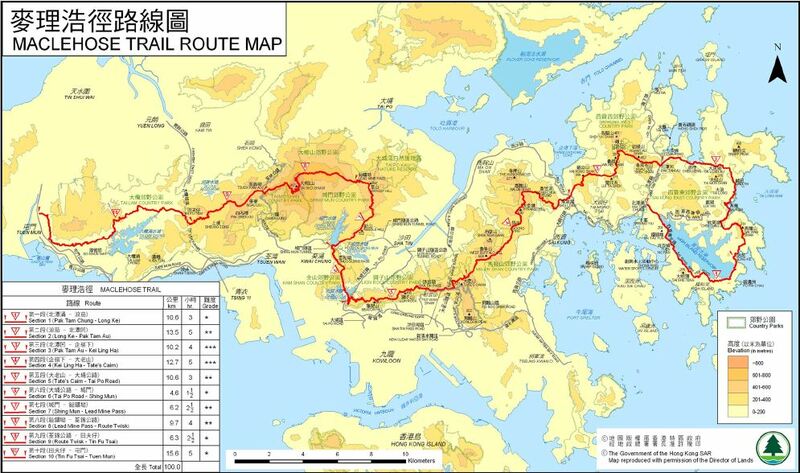 It starts at the very south of Hong Kong island and goes north all the way to finish near the border with China. The interesting twist is that after about 10k you have to take the subway to cross Victory Harbour to get over to the Kowloon peninsula. This trail has the highest positive elevation change including thousands of stairs. From the start on it goes straight up and has 1,000m ascent within the first 7k distance. I wrapped up day two in 13:09hrs. The finishing point is in the middle of nowhere, so I had to run another 7k afterwards to get back to civilisation and public transport. It was kind of bizarre: it was around 8pm on Chinese New Year’s Eve and I was getting on a bus that was full of well-dressed local Chinese all heading out with presents on their way to visit relatives and friends to celebrate the coming Year of the Dragon. And here I was; the strange looking foreigner, sweaty and smelly from a long day out on the country trails. I will never forget the looks. Day 3 was the “baby” stage: 50k on Hong Kong island trail. By this time the weather started to deteriorate and it got a lot colder and rained for half of the journey. I finished in a leisurely 6:31hrs. The free afternoon somewhat caught me off-guard, actually feeling worse after taking a nap. 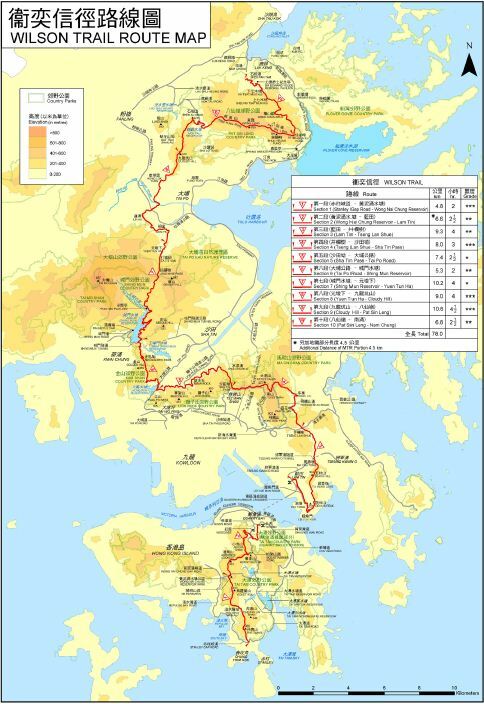 The final day had the longest stage on the agenda, the 100k MacLehose trail through the New Territories. Overnight the weather had gone down to 5C in the area and it was bitterly cold and windy on the exposed mountains. It was a long day in the office and especially going up Tai Mo Shan mountain was a near freezing experience with strong gusts and icy rain, certainly a time to dig very deep. Then it suddenly was all over in 15:38hrs for the stage and a total of 46:12hrs for 298k distance and 14.4k positive elevation change. What has been your running background before attempting this unique challenge? It’s quite interesting; I’ve never been much into sports for most of my life. I only started running when I turned 40 two years ago and somehow “hit the wall”, whether you want to call it mid-life crisis or entering the next life stage or something else, I don’t know. Several months prior to that I had my annual medical and was made aware by my doctor in no uncertain terms that I was grossly obese, suffering from sky-high cholesterol and blood pressure and that I needed to make some serious lifestyle changes. After some deliberations, I’ve made those changes, completely revamped my diet, went 18 months without a single drop of alcohol (I’ve since resumed with the occasional glass of red) and lost 32kgs in just six months in the process. So I started running in Jan 2010, did my first 65k ultra after four months and my first 100k after nine months (the TNF100 Singapore where to my surprise I finished 3rd overall). 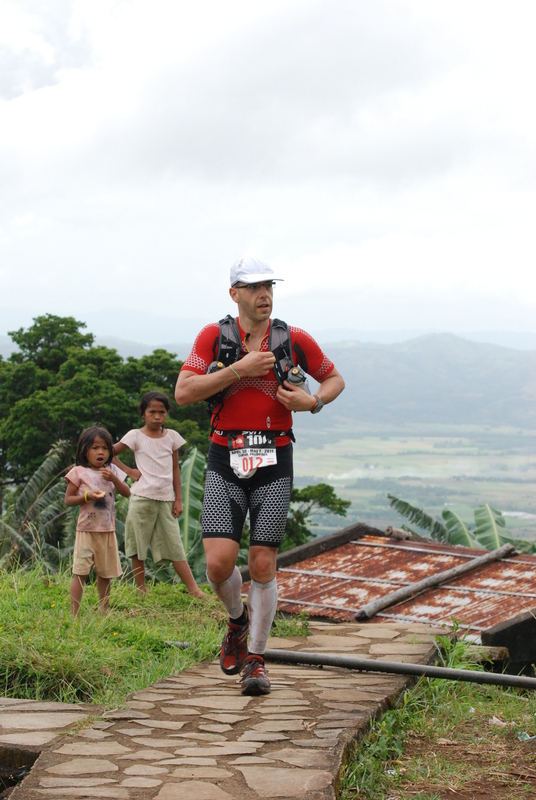 In 2011, I was the only person to complete the entire TNF100 Asia-Pacific series across five countries, including three 100k’s in three countries (Philippines, China, Australia) on three consecutive weekends. Last year I completed over 1,300k in races alone. The ultra bug certainly has bitten. What are your personal key learnings from the HK 4in4 Challenge? The challenge sounded monumental to start with. Each of the four trails, especially given the elevation changes, is a fairly decent effort in their own right. My mantra is “Dare to dream – What can be imagined can be achieved.” Once I had set my mind to doing them all, I really didn’t think too much about it anymore and just approached it on a one-day-at-a-time basis. Of course there were numerous practical learnings. I was positively surprised how quickly I was able to recover overnight for the next day’s effort. I am particularly proud that I resisted taking any pain killers during the event at all. My legs were quite painful at night and I woke up frequently. I probably managed 3 – 4hrs of sleep each night, but felt strong and motivated each morning for what was ahead on that day. The self-support aspect also complicated things. Running with a 7kg back pack simply is a lot harder than with a much lighter version for shorter training sessions or for races that have support stations every 10 – 20k. I was also able to test a few new things out in this event, for example I had read with interest on Ultra168 how to avoid chafing during long ultras and the related Gurney Goo review. I’m pleased to say that I had zero issues with chafing nor blisters during the event as a result. So now that you have completed this challenge – what’s next for you? I received a lot of positive interest during and after the HK 4in4 event, and I also had a lot of time to think while I was out there running it, so I decided to repeat the event. Of course I had to make some improvements and take things up a notch. The event will be called the 2013 Hong Kong Four Trails Ultra Challenge and will be held during the long Easter weekend next year. To keep it interesting, I’ve cut it down from four days to three days. This means on the third day participants will have to complete two trails. The event will get tougher from day to day with distances of 78k, 100k and 120k respectively. Who knows, maybe in a few years multi-stage events will be a permanent fixture on the Hong Kong ultra-trail event calendar. There are a number of other events planned for this year. Highlights include a trip to New Zealand with both Tarawera 100k and Northburn Station 100m back-to-back in March, as well as participating both in the inaugural Ultra Trail Mount Fuji (UTMF) in Japan and the UTMB, both being 100 mile events, a distance I really want to crack in 2012. Andre, awesome effort and well done on pulling this togethor, getting out there and doing it. Sounds like a real adventure and there might be a future for this epic 4 day run…well done. Thanks Ultra 168 great interview.. Thanks Dave, I am staggered at Andre’s effort. He just went out there planned, trained and smashed it up with little pomp or ceremony. If he can get this off the ground as a 3 day event next year it will be up there with the best of them in terms of challenges. Respect. Andre has laid down the marker for us in HK with this incredible feat. Great article guys. Thanks Darrel. I was considering Alpine, but it clashes with my Kiwi Twins – Tarawera and Northburn back-to-back. If I don’t get into WS100 next year (again …) then I’m considering do to the Aussie circuit. Any survival tips for Northburn for me (except handholding)? Was pretty coldish over some of the back half last year ( I mean FREAKING cold ).Plenty of big hills but not that technical so easier to manage.With every up is an equal down so some good down hill running.Navigation was pretty good as well.Times should be a bit quicker this year…Haven’t committed where to run in March but I should have it worked out next week..
holy crap this is totally insane! congrats on the incredible effort! that’s 300k over 3 days! that has got to be one of the toughest races ever (especially if you move it to mid-summer in future haha). hope you get an awesome turnout!! 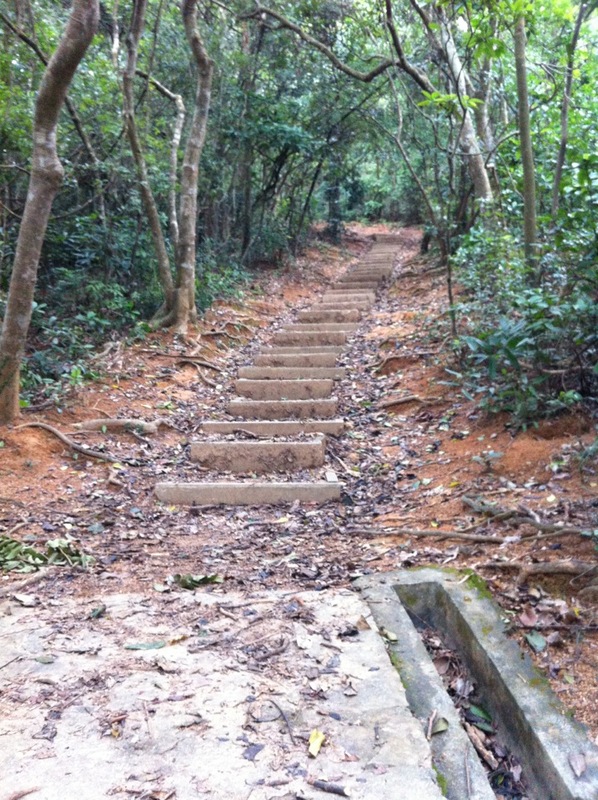 Pingback: Hike in Hong Kong! | Hike in Hong Kong! each other. If you’re interested feel free to shoot me an email. I look forward to hearing from you! Wonderful blog by the way!